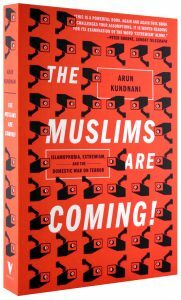 Kundnani is the author of The Muslims are Coming! Islamophobia, Extremism, and the Domestic War on Terror and a lecturer at New York University. His articles include “The belief system of the Islamophobes” and “Recharging the Batteries of Whiteness: Trump’s New Racial Identity Politics.” See his website: kundnani.org. Ali Abunimah tweeted: “The Christchurch massacre was years — years in the making. The killer was a child when the 9/11 attacks happened. Islamophobia didn’t start then, but since 2001 ‘mainstream’ media and politicians have pumped out a message that Muslims, immigrants, people of color are a ‘threat. '” Abunimah also identified a pattern of some major political figures initially not acknowledging the terrorist targeted Muslims.